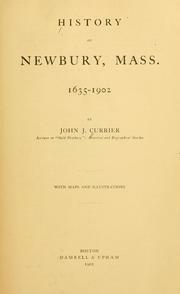 2 editions of History of Newbury, Mass., 1635-1902 found in the catalog. Add another edition? 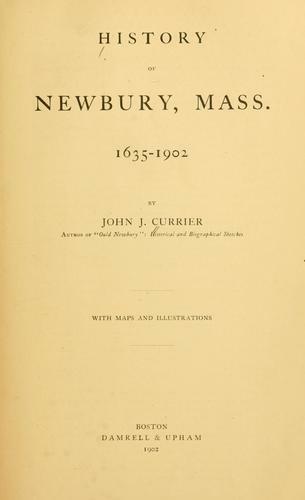 Are you sure you want to remove History of Newbury, Mass., 1635-1902 from your list? Published 1902 by Damrell & Upham in Boston . Additions and corrections in author's "History of Newburyport, 1900": v. 2, p. 562-569. January 24, 2010 Edited by 68.235.158.209 Edited without comment. January 21, 2010 Edited by ImportBot Found a matching record from Internet Archive .